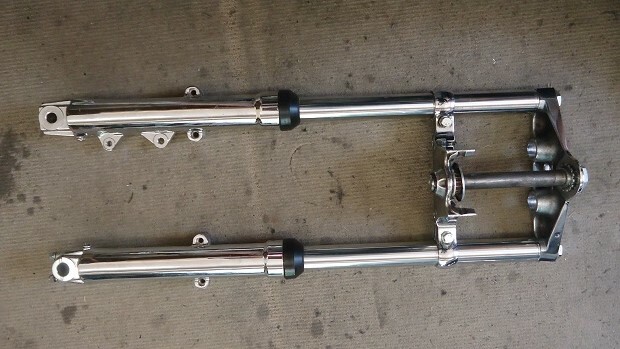 Originally offered on the FXWG in 1980, Harley-Davidson Wide Glide forks and triple trees are a simple bolt-on conversion to most other Harley-Davidson motorcycles, including Panheads, Shovelheads, and Servi-car trikes. In addition to the FXWG models, Wide Glide front ends also came on 80-83 FWDG Dyna models and several Softail models from 1993-2003. Since all Harley models from 1949 and up have the same 1.00" neck diameter, the Wide Glide conversion is a popular front end swap. Pre-2000 Wide Glides had a single-disc brake with a single-piston caliper. In 2000, dual four-piston calipers were fitted, which made a substantial difference in braking. 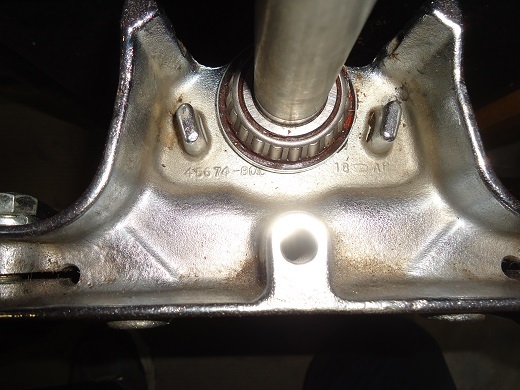 The 2000-up Wide-Glide front wheel hub was upgraded with sealed bearings. The spacing dimension for Wide Glide forks is 9.875" between fork tube centers. By comparison, a 'Mid-Glide' is 8.875" between fork tube centers, and a 'Narrow-Glide' is 7.00" between fork tube centers. The original Wide Glide front forks measured 1-5/8" in diameter. 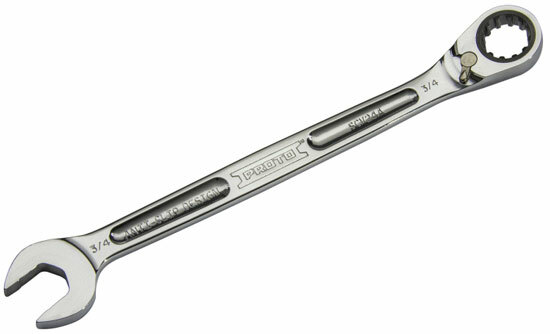 Somewhere in the eighties, the Motor Company started farming out forks overseas, which began the calling of fork diameter in millimeters instead of inches. Since then, fork diameter has been referred to as 41mm. Before starting a Wide Glide conversion, take note of the fork stops (the short nubs on the lower triple-tree that bump against the steering tube). Watch for nubs that have been sheared off, an indicator of accident damage. The 1987 or so FX models had a steel lower tree, but the rest are aluminum. Softail Wide Glide trees and the ones for FXDWG are slightly different on the fork stop. Some forks have mounts on the sides of the upper and lower trees for mounting the aluminum headlight tins. The nacelle unit will use a spacer ring to adjust the headlight position. The aftermarket for stock replacement and custom hydraulic forks is huge, making a Wide Glide conversion complete if missing parts. 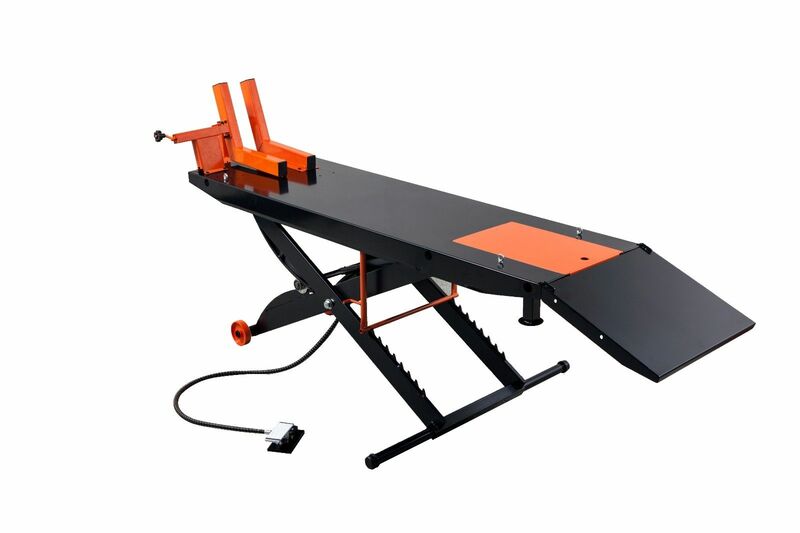 There are literally hundreds of different tree-fork combinations from dozens of companies that you can buy ranging from low-end stock assemblies to complete custom fabrications. There's forks, tubes, and trees, all of which are produced with different specs by different suppliers. Mostly chrome units are offered. Some triple tree sets use a lower tree with the mounts shaved off. Depending on what year and model bike, front wheel axle size will vary. Starting in 2000, Harley went to 1" front axle bearings on touring bikes. In 2008, they went to a 25.8mm bearing, which is a fraction of an inch different. The sliders are the same for the 1" and the 25.8mm axles, but the bearings, spacers, and axles changed. There are different kits available so you can switch to the appropriate bearings needed. Early Sportsters had 35mm tubes up until 1988 and then went with 39mm tubes, the same size still in use today on Sportsters. If you're considering converting to a Wide Glide front end, there are no factory triple trees that will fit the 7/8" stem. The best and easiest way is to buy an aftermarket kit which generally sell between $350 and up. These will contain all the needed parts, including triple trees, spacers, etc. Then it is a simple bolt-on. 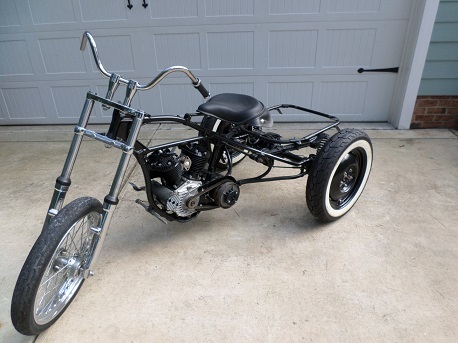 Custom Cycle Engineering offers an XL Wide Glide conversion kit for around $750. 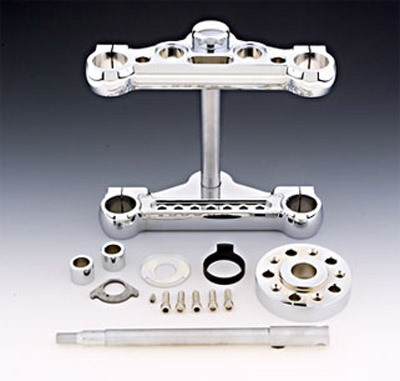 This kit includes billet aluminum chromed triple trees, front axle, axle spacers, rotor spacer, and internal fork stop. The 21" front wheel from Harley came with either a 2.15" or 3.5" width tire. The wider tire will give slightly improved handling and a bit more stability, but a 19" wheel will always ride and handle better than a 21" wheel. If you want to run a front fender with either the 19" or 21" wheel, several of the aftermarket kits include fender spacers to permit the use of your stock fender. It is recommended that fork oil be changed every other riding season, but it also depends on how much (or how little) you ride. An easy way to measure fork oil is to push the forks down all the way while the caps are off, and fill it to 5" below the upper edge of the fork tubes. Use 20 weight for average conditions. For extreme conditions use 10 weight or 30 weight accordingly. Below are fork oil capacities. The Wide Glide front end that you see in the pictures is a pre-2000 single-disc with 41mm fork tubes, H-D part # 45674-80c. 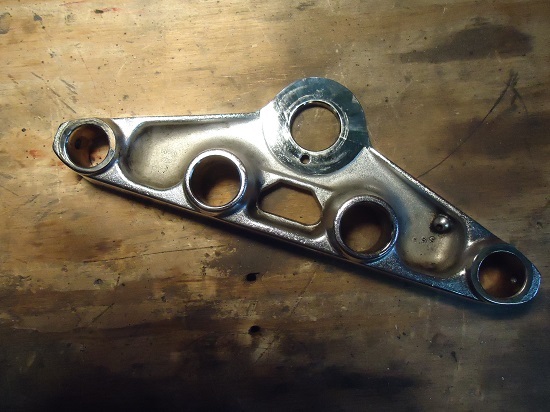 The '80' tells it is a 1980 year beginning manufacture part, but remember that Harley puts production numbers on a lot of parts that aren't actual part numbers. 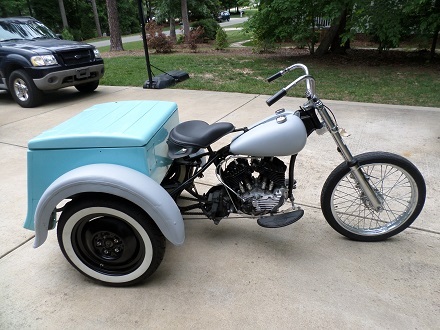 It fit onto my Harley Servi-car frame with no issues, allowing me to run a disc brake on my 900-pound vintage trike.